The German company Sennheiser with 70-year-old tradition makes some of the best headphones in the world. This time we will take a look at two high-quality models from this company: HD 700 and HD 800. 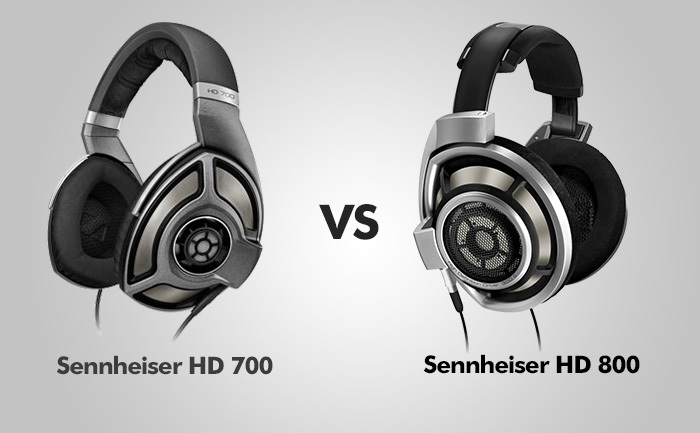 The Sennheiser HD 700 is much cheaper than HD 800 and it bridges the gap between HD 650 and HD 800. HD 800 is top notch when it comes to quality. In these headphones, you will find technological solutions that are only available in this model. The “baby brother”, as HD 700 is sometimes called, weight 272 grams, which is somewhat lighter than the flagship HD 800 model. This weight is perfectly distributed on my head with good pressure on my ears. The headband and earpieces are made of gray high-quality plastic, which doesn’t feel cheap. Earcups adapt to the shape of your head, so you won’t feel any discomfort. HD 800 is heavier than HD 700, but the weight is perfectly distributed and the headphones are comfortable. HD 800 looks quite unique and very different from other high-quality headphones from other brands. This bigger design has one big advantage. The earcups are designed in a way that drivers are located farther away and slightly to the front of your ears. This design wouldn’t be possible with a smaller design. They are made from a durable plastic, but not to cut costs. Sennheiser used this hard polymer because metal would resonate and distort the sound. Both models come with a sturdy case and 10 foot (3 meters) long flexible cable covered in durable fabric, with silver-plated, oxygen-free wiring. It has a 3.5 mm connectors that plug into left and right earcups. On the other end, you will find a 6.3 mm connector that you can plug into a dedicated amplifier. If you want to use them with 3.5 mm input, you have to buy a 3.5 mm adapter plug because they are not included. Both models win with other premium headphones when it comes to comfort. Earcups are made of soft velour and allow the air circulation. This means that you can play or watch movies for hours without feeling tired. They are also good for people who wear glasses, as these headphones don’t put a lot of pressure against the frames of my glasses. HD 700 are open-backed headphones. While they don’t leak as much sound as their competitors, you should use them when you are alone, unless you want other people to know about your musical taste. The warm and balanced tone is produced by a 40 mm driver which is not used in any other Sennheiser product. It uses a new magnet system to reduce turbulence and distortion that could affect the sound quality. With these headphones, you can see all the details, like traffic sounds, whispers or voices, all of them beautifully separated, balanced and clear. Similarly to HD 700, this model open-backed and is designed to be used in private, so the sound won’t leak outside and don’t annoy other people. HD 800 uses the most advanced Sennheiser technology – large, 56 mm drivers which are used only in these headphones. They direct sound into your ear at an angle, slightly from the front – like listening to a pair of high-quality speakers. 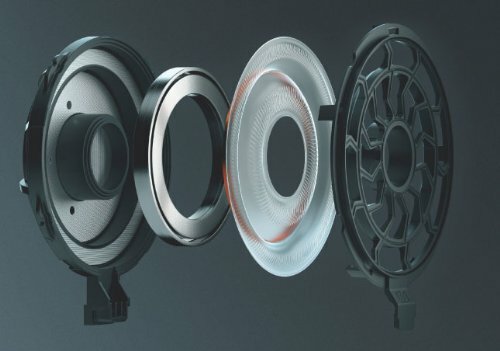 These patented transducers are quite unique and the vibrating part is not a circular interior, but the outer ring. This technology produces less distortion than standard drivers. Headphone drivers have the same problem as loudspeakers, the bigger the drivers, the better they are in reproducing bass, but at the same time, they lack in high frequencies. The question arises whether bigger drivers used in these headphones are good in delivering treble? But thanks to its unique shape and high-quality materials they offer much greater resistance to resonance. So yes, the treble is also great in this model. These headphones offer a great amount of detail at any frequency level, whether it’s bass, midranges, or treble. With these headphones, you will discover details that you’ve never heard before, no matter if they are instruments, voices, or any other sound. These headphones are the closest to real life experience from all other headphones. PROS: Comfortable / light / great sound / carrying case / even-handed presentation / excellent detail. PROS: Comfortable / good materials / carrying case / great at any frequency / unique technology / closest to real life experience. CONS: Not as good as HD 800 / 6.3 to 3.5 adapter is not included. CONS: Price / 6.3 to 3.5 adapter is not included.